Which race should you choose? How well will a race fit in with the professions and skills you want for your characters? Use the following list of Racial Bonuses to help you decide! 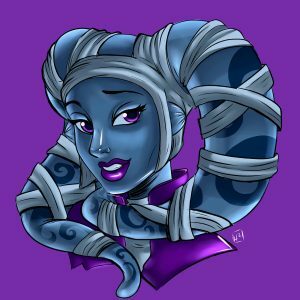 This entry was posted in News, Professions, Races, Skills and tagged Racial Bonuses, Star Wars, Star Wars Galaxies, SWGEmu by Sandarie. Bookmark the permalink. To be brutally honest, I am not a fan of race modifiers. I understand this is not Star Trek, so “infinite diversity in infinite combinations” doesn’t really apply, but when all is said and done I feel that these modifiers will promote a certain bias for and against combinations of races and skills/professions. Now most of the races are a really mixed package, with a little bit of a bonus here and there. I can’t really combare those. 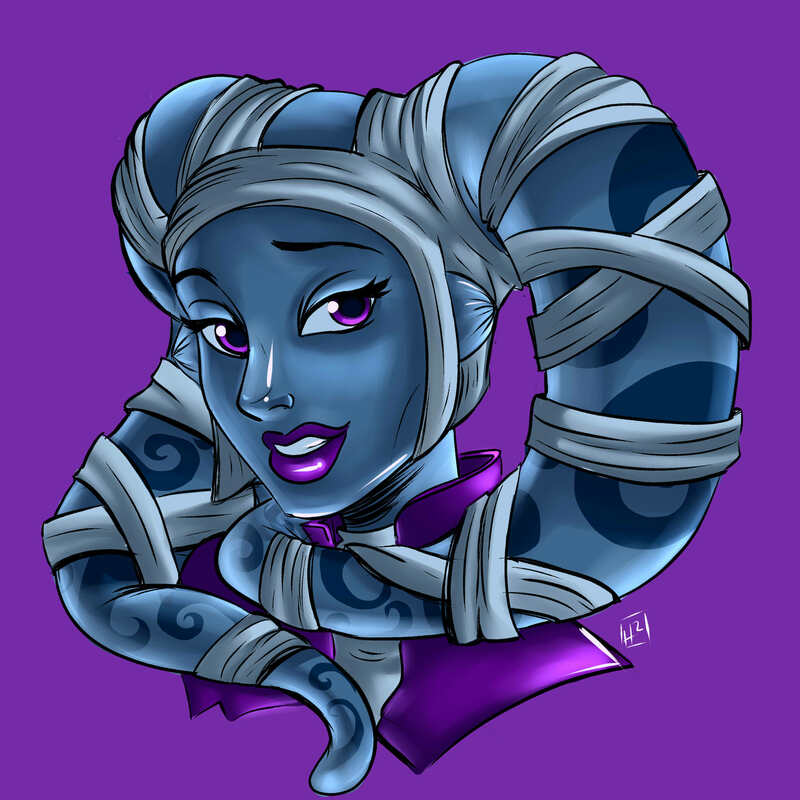 However, if we compare the Gran with the Twi’leks there is no denying that Twi’leks will be better entertainers and Gran will be better rifle users. Period. Is the edge a make or break criteria in a competitive environment? I don’t know, I don’t have the numbers to tell how much boni a master entertainer or rifleman will have in total. Still, in a way I feel the modifier system contradicts the spirit of the profession/skills system, where great effort was put into making as many combinations as possible viable. I know that folks have asked for these modifiers. I simply happen to disagree with them. I’d disagree with you on the grounds that these kind of bonuses were in the original game and did not make or break templates – minmaxers will always want to minmax, which is something to consider but you also have to remember that in addition to these racial bonuses, there are things like skill caps, skill tapes, and the consideration that the bonuses from race covers a very small fraction of the total number of skills available. Without worrying about which race I choose, I can still reasonably hit those skill caps with a bit of effort and planning – the racial bonus may provide an edge early on in niche cases but it’s not an all-or-nothing difference. Racial bonuses are predominantly flavour and are a reflection of the lore of that particular race. The skill bonuses that they give are not definitive, or game breaking, and will actually disappear at the “end-game” stage. These two things lead to the following conclusion: Play what you want and have fun because the racial bonuses do not prevent you from doing anything. Edit: And for anyone who was curious as to what the correct plural form of bonus is (like me!) … Apparently it’s either bonus, or bonuses. Like Fish! 1) While words have archaic roots, the don’t always keep the same conventions in modern language / appropriation – The correct plural form of Octopus, for example, is Octopuses, Octopodes, and Octopii. 2) The word bonus has a latin root which makes use of significantly more cases than English (Nominative, genitive, dative, accusative, ablative, vocative). Not all of these cases exist in modern English AND, if you really wanted to insist upon using the Latin plurals, you’d have to choose the corresponding case and use its plural form, which is also modified by gender. Also, according to Wikitionary, the correct plural form of Bonus (in English) is Bonuses. tl;dr – Bonii is not the correct plural form of bonus in English, and insisting on using latin forms has problems because latin makes use of “cases” that may not be present in English. Source: I took a university class that focused on Old English and it’s precursor languages.